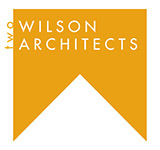 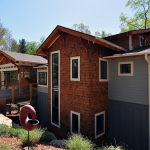 Edgemont 1 | Wilson Architects, Inc. 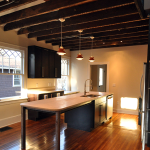 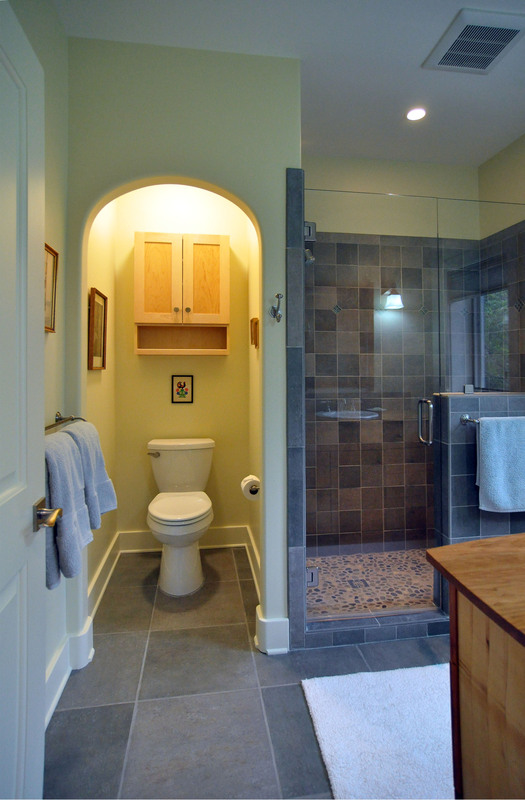 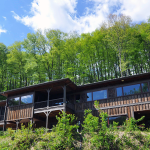 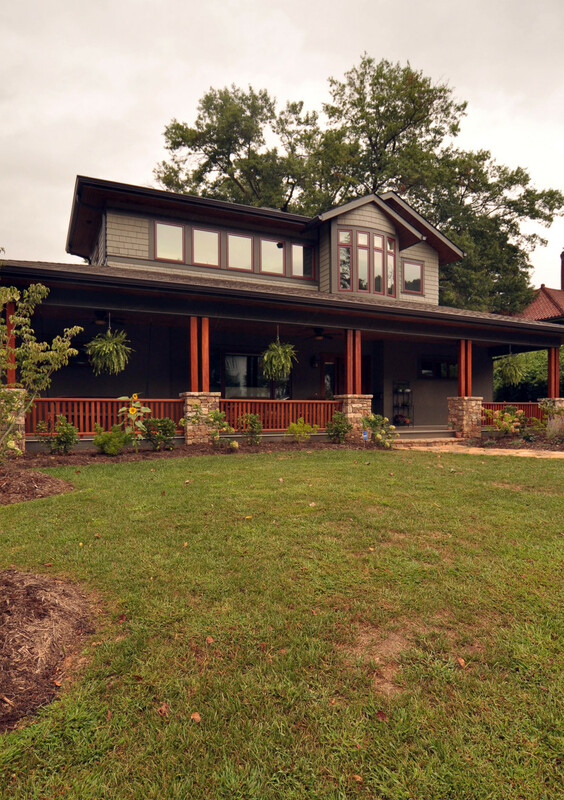 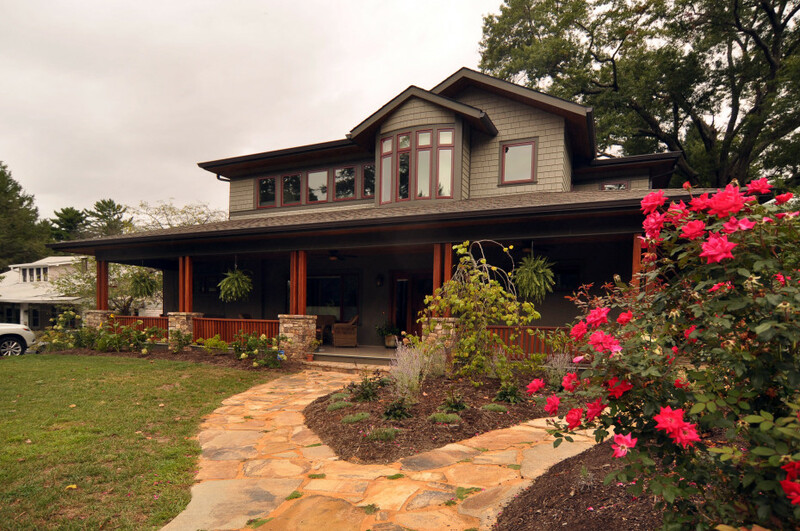 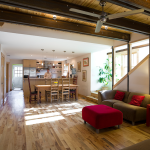 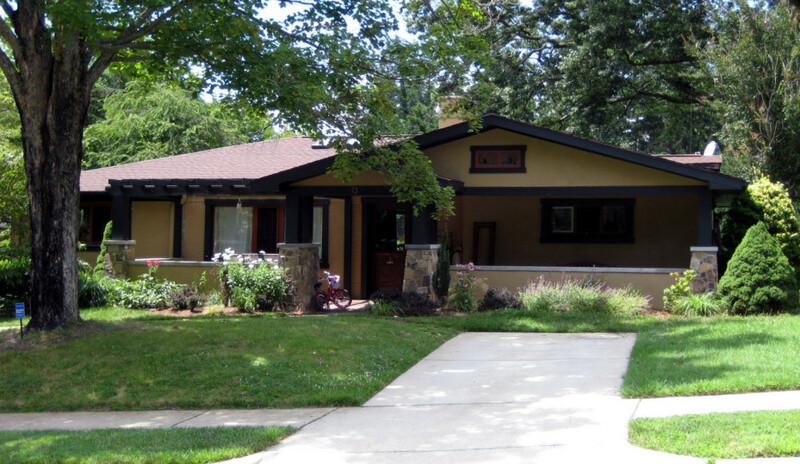 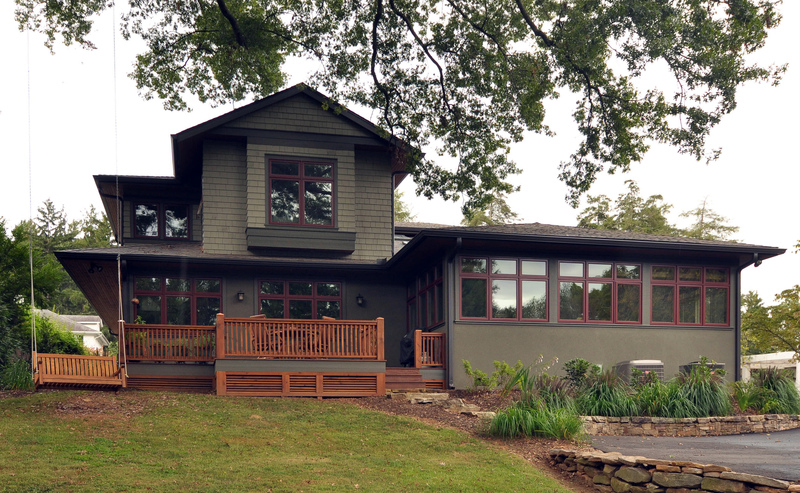 Here are a few images of a renovation project we did here in Asheville. 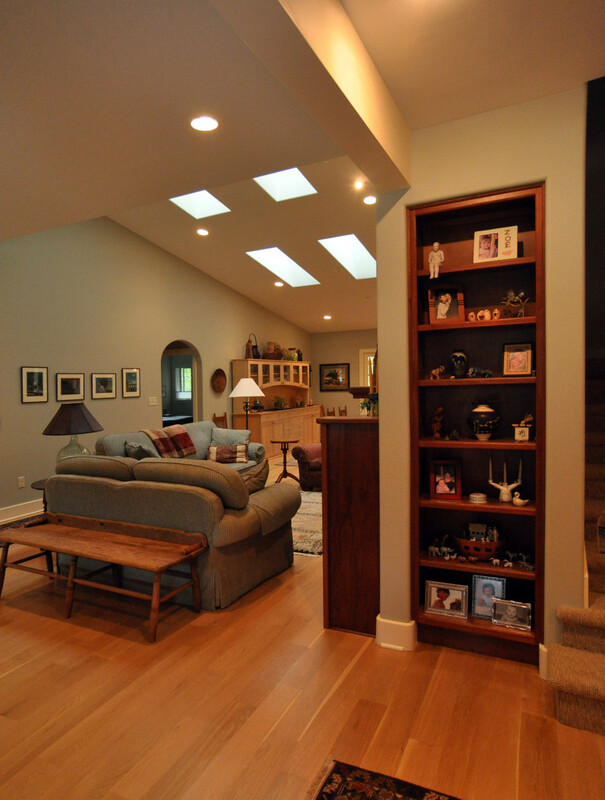 We added a second floor to an existing home and changed the style and floor plan dramatically. 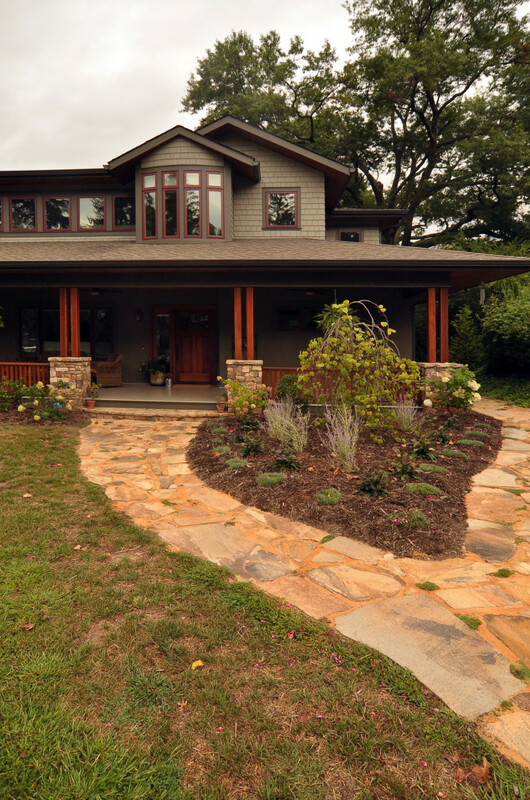 After construction images of the front approach. 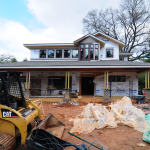 We kept the exterior walls and foundation and removed the front porch and roof to add the new second floor. 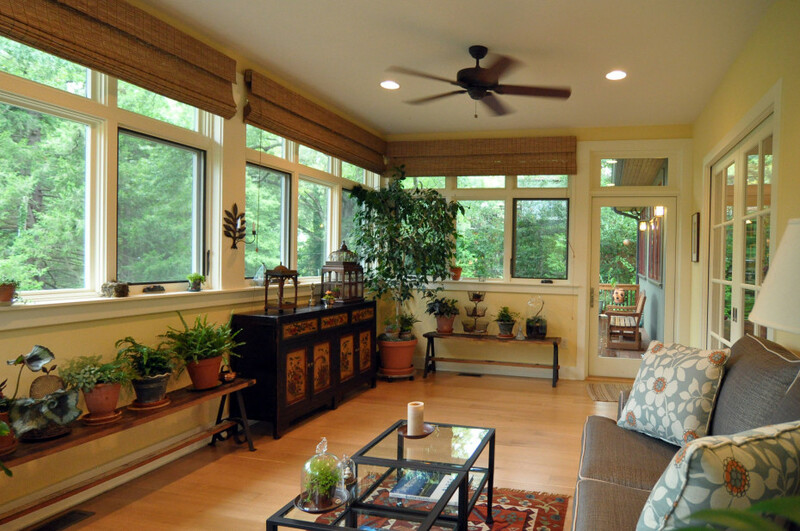 The curved window on the second floor is a daybed nook. 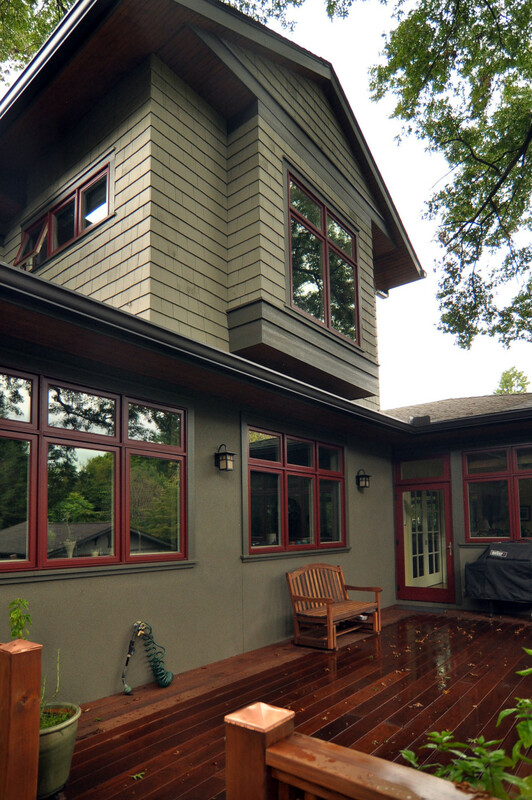 Back deck and master bedroom box window seat. 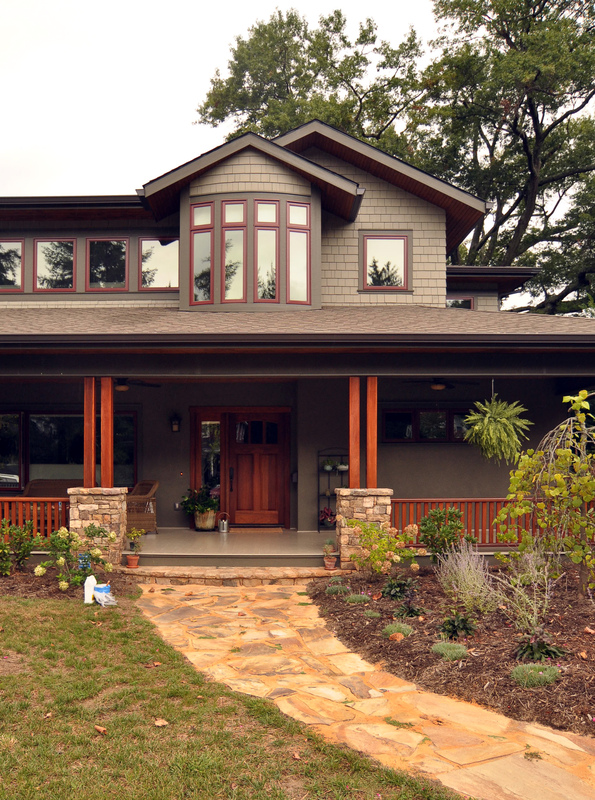 View from the back yard. 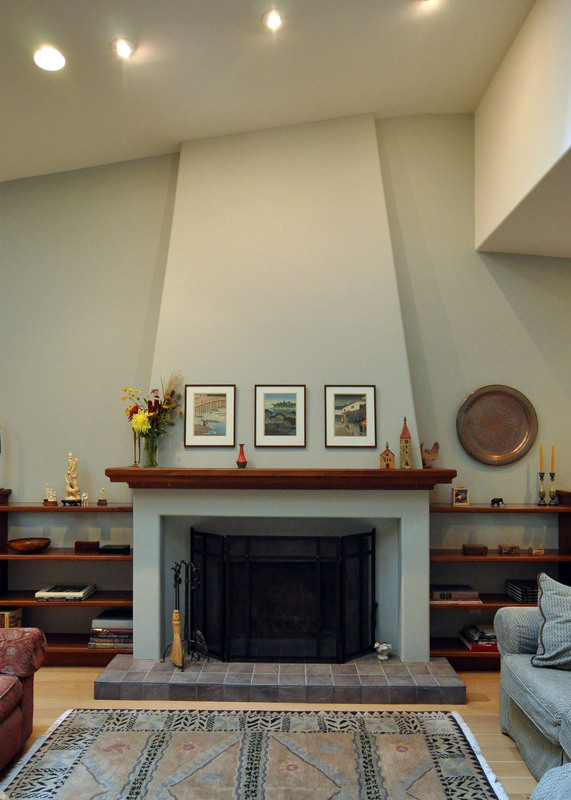 Image of living room and fireplace. 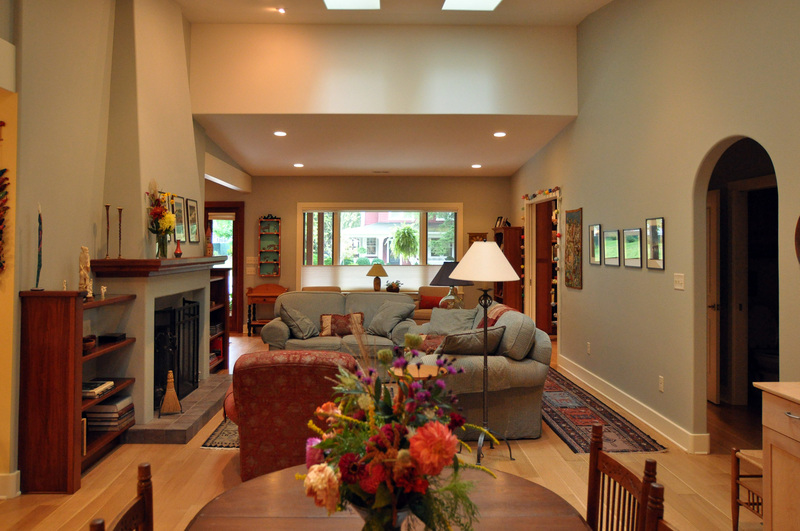 Open living spaces with skylights above. 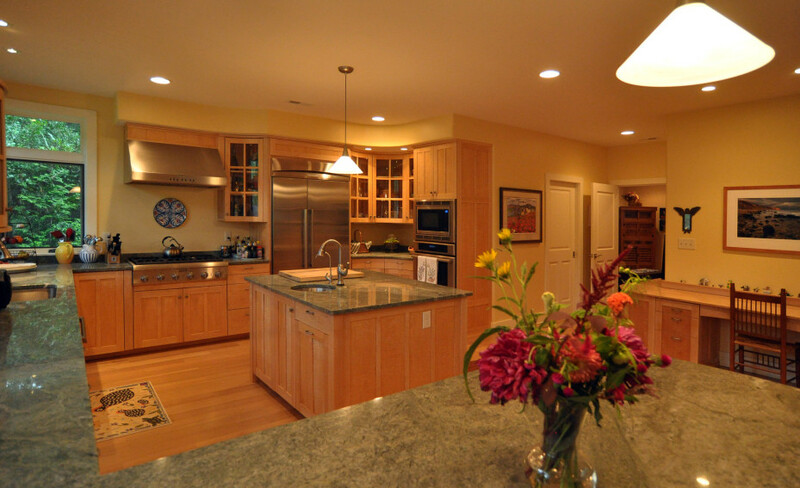 Open kitchen with custom cabinets.